Keeping young people in school is critical to ensuring they have the best chances of finding a job later, particularly where post-secondary education is required. A number of different factors can influence the likelihood of a teenager staying in school, with ADHD being another one recently identified in a scientific study. It was found that teenagers who suffer from ADHD are much less likely to complete school on time in comparison with students who had other mental health disorders. 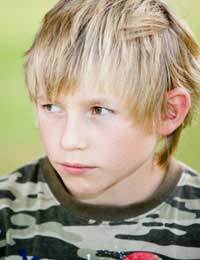 In fact, the other disorders are often perceived as being significantly more serious than ADHD. In the study, almost a third of the teenagers who were diagnosed with ADHD drop out of school or delay the completion of school. There are different forms of ADHD, with one being the hyperactive form, another being the inattentive form and the third being a combined form. Many adults believe that when a student is ‘misbehaving’ such as when they steal, this is the instance where they are more likely to become a dropout. But this new study has shown that teenagers who suffer from the combined form of ADHD, which is the most common one, have a significantly higher chance of dropping out than the students who just have issues with discipline at school. This could mean that children who suffer from ADHD will have an enormous challenge to experience success in school, which can further limit them later in life. In the study, just over thirty percent of the pupils with this combined form of ADHD drop out of school, compared to fifteen percent with no mental health disorder. It is thought that ADHD impacts this rate because young people will have more difficulties completing basic but important classroom functionalities such as paying attention to lectures as well as completing and turning in their homework on time. Another factor that similarly worsened the risk of dropping out of school was tobacco use – more so than alcohol and drug use. With other studies linking ADHD and tobacco use, it will be important in the future to examine all factors together in terms school performance. There are many reasons that pupils drop out of school. The responsibility for adults is to identify these reasons and find ways to support the experiences of young people during these difficult years. ADHD symptoms are challenging for teenagers and treatment with medication or other alternative approaches is critical to ensure they have the best chance of success. If symptoms are left untreated and teenagers do not receive adequate social support, they may be more likely to drop out of school. In turn, their future prospects are severely impacted. They will be more likely to receive social assistance, be unable to purchase a home or car, and are less likely to obtain and maintain employment. This new study should set the groundwork for additional measures to identify and support pupils who struggle with ADHD.